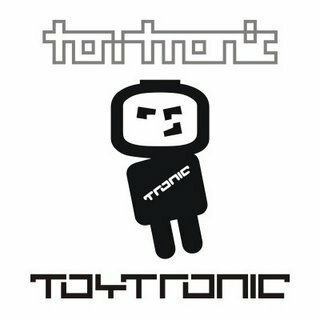 After a four-year break on Toytronic, at last, there is a new album. If not a secret, explain, what has caused the long silence? The label and Music stopped making me smile, I could put it down to a few things but mainly it comes down to the fact that I prefer to deal with things on a smaller scale I don't like it when things get too big it is nicer to deal with people that care about the music and the label like yourself rather than people who are talking to you only because your'e a big recognised label. So some space has scaled Toytronic down which is good and it is attracting the right people again. Also I wasn't finding any new music that I liked. The overall sound of a track is important to me and needs to make sense melodically and rhythmically. I felt that the scene was flooded with lots of music that was experimental for the sake of being different but did not sound good and the funny thing is when so many people are trying to be different then they are not being different any more as they are just doing what everyone else is doing but I don't expect that to be understood by everyone. Chris, what is for you a source of inspiration or motivation for the further maintenance of activity of a label? A friend of mine Dean Walker and new and old music that I have been discovering, artists like Liquid Morphine (aka Matthew Florianz), Vector Lovers, Bochum Welt, Lusine, Boxcutter, Wisp, Christ, Yimino, Plaid and Venetian Snares in my eyes all these artists are of equal goodness in their own style. Also I treated myself to a new studio, although I am spending more time scratching my head than making music at the moment. It is known that you and Martin Haidinger be participants project Abfahrt Hinwill. Are you going to let out something in the near future under it aliases? I would like to, I worked really well with Martin he is very inspiring. Unfortunately he lives back in his homeland now which is in Austria and his internet connection in the Mountains is not very good. Although I keep trying to find a way for us to do something new. Maybe I will move to Austria for a short while to make it possible. Let's go back a bit in the past. Tell how you have got acquainted with Martin Haidinger? I met Martin through a friend Jem Dobson who I worked with back in the days when I use to work in London's independent record shop Sisterray records. I was very new to electronica at the time and I was introduced to Martin and his music who had just finished his Load error e.p. and I was totally blown away by it. I use to play his record so much in the shop and rave about it to every customer that between all of us who worked there we managed to sell about 300 copies of the 500 that where pressed. Which for a decent sized independent record shop that is a lot. Are you friends on a life or just partners? He is a good friend and we keep in contact regularly. Probably it is a silly question, but it always me interested. Are you a sign personally with another Chris Cunningham, the director of videos for artists from Warp records? And if so, did you talking about any videos for Toytronic? I am not quite sure what you mean. So I am guessing that you may be asking if I am the video Chris Cunningham? or do I know him? and if I do know him have I talked with him about making a Toytronic video. I am afraid the answer is no to all of these questions. I don't know him and I am not him although I have sold him and Richard James some records before when I worked at sister records but that's as far as it goes. I would love to have a video made by Chris for sure, his work is awesome and on another level in the order of Chris Morris. I trust he would only work on something that he loves himself and I hope that he has not listened to my music as he has never contacted me. Do you watch activity of other independent electronic labels? What do you consider now as the most interesting? For 2009 I would say labels like Iwari Records, Planet Mu, Hymen Records, Rephlex, AI, Ghostly International and n5md are the ones I will keep an eye on. Abfahrt Hinwill and Gimmik often rank to IDM of «the second wave», what do you put in concept IDM? Do you consider this abbreviation is a little obsolete now? That is funny that you are asking this I was thinking about the term IDM the other day. IDM is a idiom, It only needs re defining then it becomes something new again. Originally the term was used and meant Intelligent Dance Music and I totally agree with Autechre for disliking the term. To consider yourself and your music intelligent is absurd and egotistic. I have never created anything that someone else has liked by trying to be intelligent. It is only through the process of no thought that creativity comes. For me I don't mind the term IDM but it means something completely different and that is Intellectually destructive music. Chris, you are simultaneously the owner of a label and the artist. What, in your opinion, is interfaced with more difficulty: to publish music or it to compose? It is far more complicated to publish music than it is to write it. What do you think about Internet labels? Is there in them a sense? I think they are a good thing, and there is sense in them. As long as the people running them pay careful attention to the music and do not just upload stuff carelessly in order to have more. It is better to have less and of a higher quality. Дмитрий, tsya.ru же. А так хорошо конечно, что старички решили тряхнуть стариной. В последнее время стало нормой гнобить известные независимые лейблы на предмет того, что они «уже не торт». Кстати, и сайт переехал на twotoy.co.uk (сначала было подумал: как так, лейбл возвращается, а toytronic.com не живой совсем). Спасибо, исправил. За новый адрес тоже спасибо, не знал, что ни туда переехали, нигде особо эта инфа не афишировалась. Может потому что очень близко по звучанию, поэтому и не интерсовался.